Gnome 3 Released – Did You Try It Yet? The wait is finally over. Gnome 3 has been released and boy, it looks splendid. A huge amount of work has gone into the design of GNOME 3, and as a result you will have an all new Gnome experience! However there have been some breakthrough changes for eg., Gnome 3 does not have Maximize & Minimize buttons. Apart from all this, there are some more things about Gnome 3 which you must know. You can download these Live CDs which have Gnome 3 based on OpenSUSE linux. In order to use them you need to burn the ISO image files to a disc and boot your computer using these discs. Note: The user name for the openSUSE live image is tux and the password is empty. You can download a Live CD which has Gnome 3 based on Fedora linux. In order to use them you need to burn the ISO image files to a disc and boot your computer using this disc. 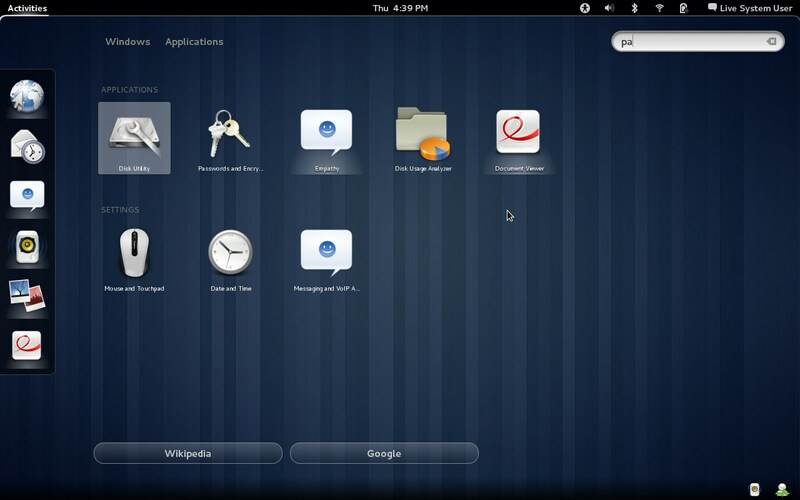 Note: The user name for the Fedora Gnome 3 live image is liveuser and the password is empty. The Gnome 3 team has not released any Live CD yet for you to try Gnome 3 on Ubuntu Linux. Please check this page in a short while to find updates. However you can see this tutorial to find out How to install Gnome 3 Desktop on Ubuntu or the Gnome Shell - how to install Gnome 3 Shell in Ubuntu Linux. You can also use a USB stick to boot your computer into the Gnome 3 Desktop environment. Click here to get more information on How To Create A Gnome 3 Live USB Stick.